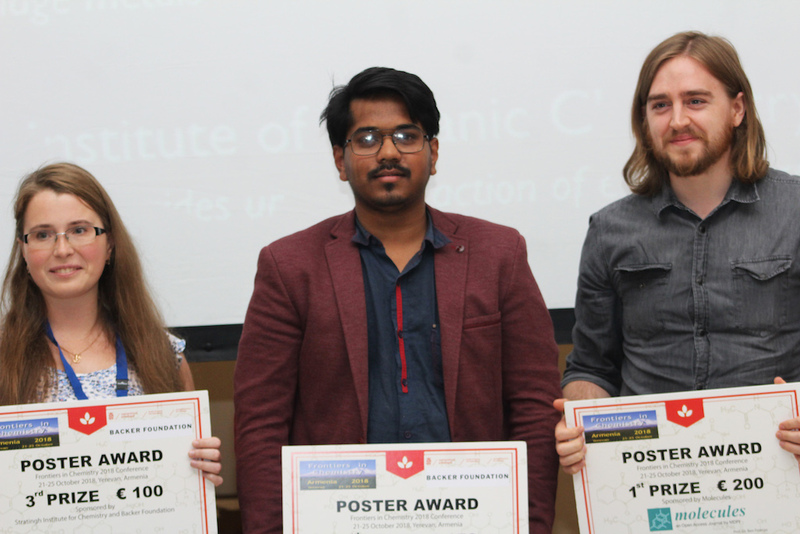 The three best posters presented during the poster session on Tuesday, October 23rd, were awarded with poster prizes. The poster prize jury consisted of Eva Hevia, Rienk Eelkema and Maria Angeles Fernández-Ibáñez. First, second and third place were presented with a certificate and a sum of 200, 150 and 100 euro, respectively. We thank the open access journal Molecules for their sponsorship of the poster prizes. "Dynamic Cross-Linking of Polyethylene via Sextupole Hydrogen Bonding Array"
"Thioxobimanes: new ligands for coinage metals"
"Oxidative transformations of sulfonyl hydrazides under the action of electric current"
The three poster prize winners from ArmChemFront 2018, from left to right Olga Mulina, Partha Jyoti Das, and Jonathan Tellers. 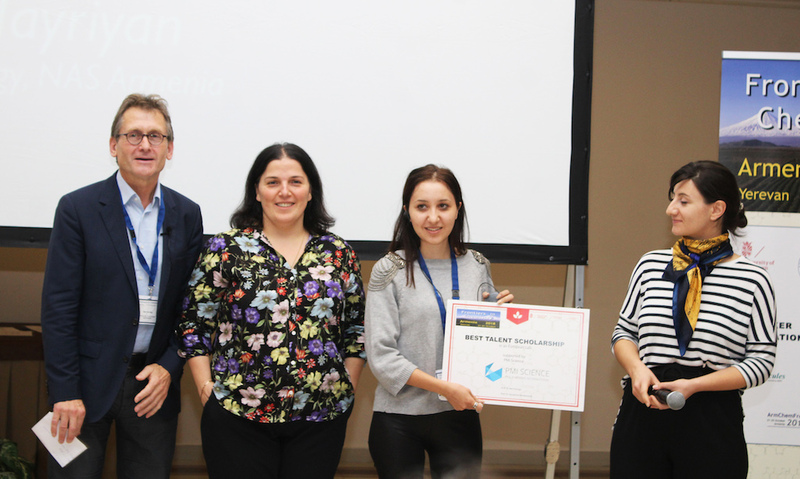 Best Talent Scholarship award ceremony with from left to right selection committee chair Ben Feringa, conference chair Syuzanna Harutyunyan, winner Liana Hayriyan and PMI Science representative Maryam Davtyan.